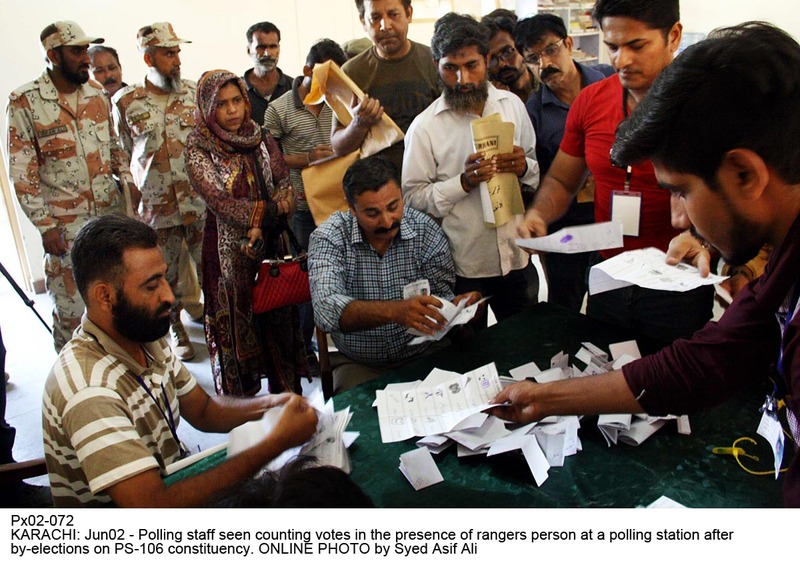 Muttahida Qaumi Movement (MQM) candidates Qamar Abbas Rizvi and Advocate Mahfooz Yar Khan have won the by-elections of PS-117 and PS-106, respectively, with big margins. According to unofficial results, Qamar Abbas has bagged more than 10,000 votes in PS-117 while the PTI’s Rafaqat Ali stood second. In PS-106, MQM’s Mahfooz Yar Khan got over 11,000 votes. A very low turnout was witnessed in the two constituencies due to lack of hype for by-election on two Sindh Assembly seats. The daylong polling on two constituencies concluded peacefully.